Forex News Trading: Is USD Dead? Asian session started the day with the U.S. dollar weakening against its major counter parts. EUR/USD is trading at 1.4470, GBP/USD is trading at 1.6336, AUD/USD is trading at 1.0889 by the time of typing. Safe heaven currencies JPY and CHF are performing less but still steady. USD/CHF hit record low and the pair is trading at 0.8013 by the time of typing. Forex News Trading: As the U.S. lawmakers fail to reach an agreement, the currency market maintains negative view for USD. U.S. debt ceiling discussions are souring the investors’ approach to the greenback. Even though the Asian stock markets are lifted by solid earning reports, investors are still cautious. Unresolved United States debt ceiling issue is outweighing the financial problems in the eurozone and causing the markets to remain in a state of uncertainty. The recent price movements in CHF, JPY and precious metals show that the market participants are moving on to safer assets. Investment strategist at Morgan Stanley Securities, Nagayuki Yamagishi said “At the moment, the market consensus is that there will be a deal by the August 2 deadline. But personally I feel markets are going to get a lot more spooked before then”. Forex News Trading Strategy: Yesterday Moody’s ratings agency downgraded Greece’s credit rating by three notches to Ca. Moody’s senior analyst Sarah Carlson said “The combination of the announced EU program and the debt exchange proposals by major financial institutions imply that private creditors will experience substantial losses on their holding of Greek government bonds and this is something we need to reflect in the rating”. However, the markets are paying less attention to bad news for the euro. For now, the financial markets are focused on the U.S. debt limit debate therefore until the Republicans or the Democrats agree on key aspects such as how much to cut spending and whether to raise the borrowing limit enough to next elections, we may see heavy selling of USD on the FX markets. Besides, even if the U.S. can successfully avoid a default, its AAA credit rating still will be vulnerable. 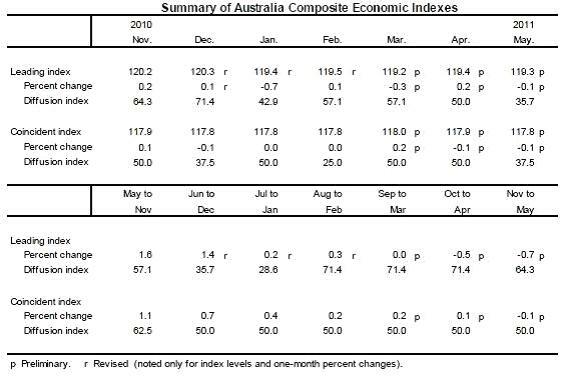 The Conference Board released its latest report and according to the report; The Conference Board Leading Economic Index (LEI) for Australia declined 0.1% and The Conference Board Coincident Economic Index (CEI) also declined 0.1% in May. 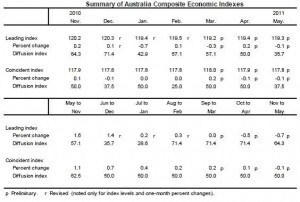 The report says “The Conference Board LEI for Australia declined slightly in May following a small gain in April. Building approvals and stock prices made the largest negative contributions to the index this month. 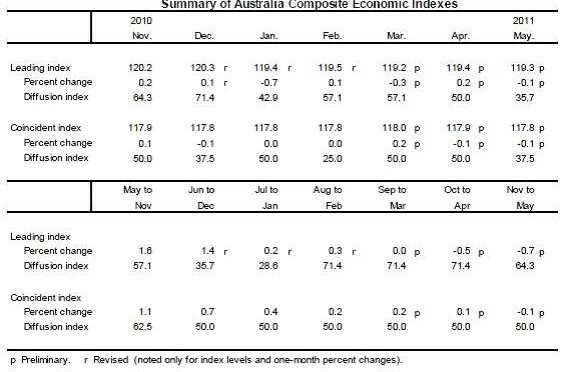 The Conference Board CEI for Australia, a measure of current economic activity, also declined slightly in May. Industrial production and retail trade both fell this month”. By understanding the current fundamentals of the USD. It will not be wise to long the USD in the meanwhile as it is trading against the fundamentals. As an intelligent trader, we will combine fundamental analysis with technical analysis. Therefore we will be looking to short the USD (fundamental analysis) with price action setups & confluence (technical analysis). At Asia Forex Mentor, we combine forex news trading (fundamental) with price action setups (technical analysis). Check out our online forex trading AFM winning Price ActionForex Course where i teach you the exact FULL Forex Trading System & Strategies that i personally use to be consistently profitable.